The Boeing 767-400ER roll out. The 767-400 touching down with a puff of smoke. 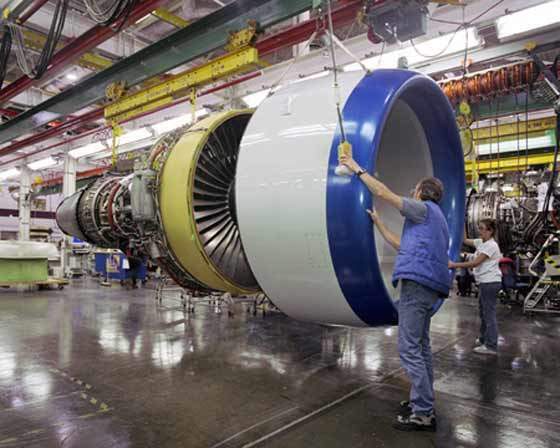 A 767-400 engine nacelle being fitted to A General Electric CF6-80C2B jet engine. 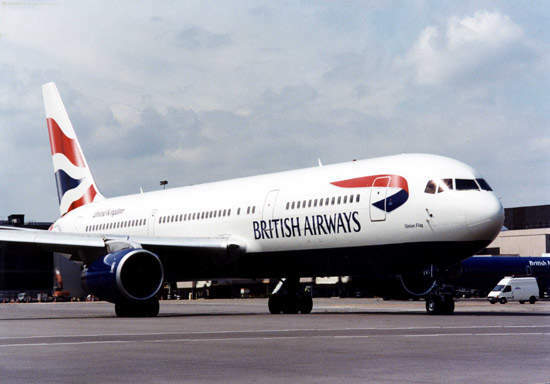 A Boeing 767-300ER in the fleet of British Airways. 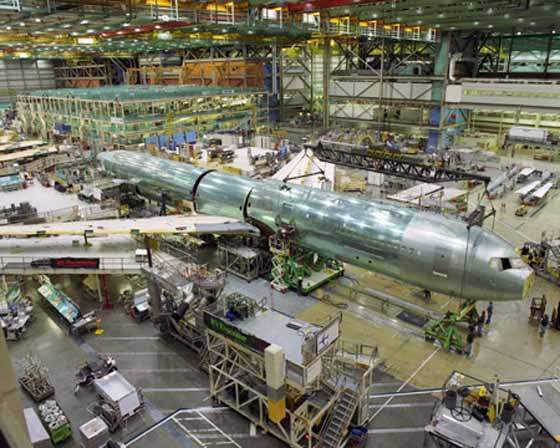 The Boeing 767 is a wide-bodied twin-aisle, twin-engine airliner. The aircraft is the most widely used aircraft on cross-Atlantic routes. The 767 first entered service in 1982 with United Air Lines. Boeing has delivered more than 1,000 767s that are flown by more than 80 operators around the world. The 767 has accumulated more than nine million flights. The Boeing 767 is used as the platform for the 767 AWACS airborne warning and control system, in service with the Japanese Defence Agency, and for the military tanker transport aircraft that has been ordered by the Italian Air Force and the Japanese Air Self Defence Force. The 767-200ER is an extended-range version announced in 1983 seating 181 to 224 passengers. The range is up to 12,325km. The aircraft first flew in 1984 with first delivery in 1984 to El Al airlines. 121 767-200ER aircraft have been ordered and delivered. 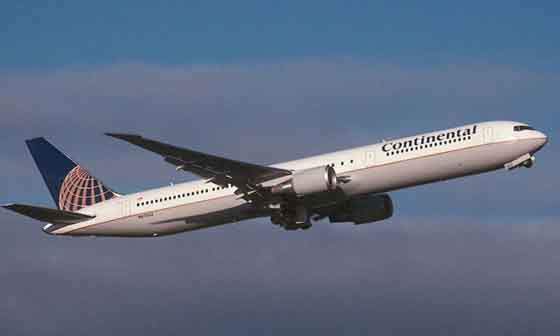 The Boeing 767-300ER, around 6.43m (21ft) longer than the 200ER, provides seating for 218 to 269 passengers and has a range up to 11,389km. First flight was in 1986 with first delivery in 1988 to American Airlines. 540 767-300ER aircraft have been ordered and 528 delivered. The 767-300 freighter, launched in 1993 and first flight in 1994, has a freight volume capacity of 16,034m³ and a range of 5,560km. First delivery was in 1995 to United Parcel Service. 82 767-300F aircraft have been ordered and 49 delivered. 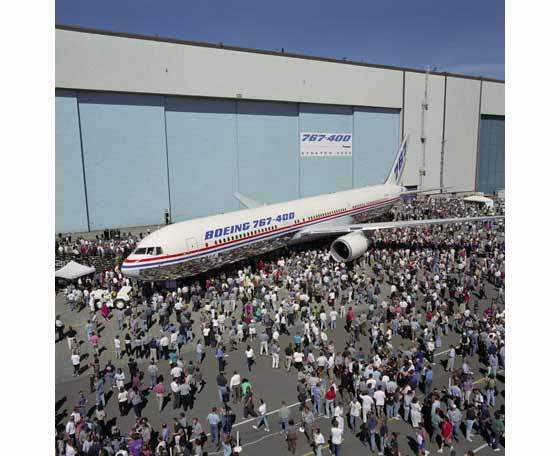 The 767-400ER, around 6.43m (21ft) longer than the 300ER, is the latest member of the 767 family and the first flight took place in October 1999. The stretched aircraft provides seating for 304 passengers in two-class cabin layout and 245 seats for passengers in a three-class layout. 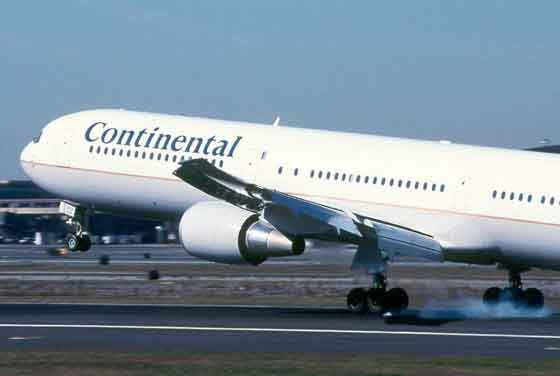 The 767-400ER entered service with Continental Airlines (total order 16) in September 2000 and with Delta Airlines (total order 21) in October 2000. The 767-400ER features aerodynamic improvements, including new raked wing tips, increased take-off weight capability, a new main landing gear, and a new upgraded flight deck. The new, highly backswept (raked) wing-tip extensions increase the 767’s 156ft wingspan to 170ft 4in (52m). The 7ft 8in (2.4m) wing extensions are designed to increase the aerodynamic efficiency of the wing and thus improve the range. 38 767-400ER aircraft have been ordered and 37 delivered. The flight deck, which accommodates the pilot and co-pilot is similar to that of the 757. The aircraft’s flight instrument system is the Honeywell EFIS-700.The navigation suite includes Honeywell VHF omnidirectional radio, an integrated instrument landing system, and a marker beacon receiver, an automatic direction finder, distance measuring system and a radio magnetic indicator RMI-743. There are dual digital flight management systems and triple redundant flight control computers. The aircraft carries CAT IIIb landing certification. Rockwell Collins has developed a large-format display system, which has been fitted in the 767-400ER. The system incorporates six 203mm x 203 mm (8in x 8in) liquid crystal displays. The aircraft is equipped with hydraulically operated, retractable tricycle-type landing gear. The forward retracting nose unit supplied by Menasco has twin wheels. The inward retracting main landing gear supplied by Cleveland Pneumatic is fitted with two four wheeled bogies. The wheels are supplied by Honeywell. The main landing gear has steel disc brakes and a hydraulically actuated tail skid. From its origin as a provider for vocational training in all branches of aircraft / engine production and maintenance, AERO Bildungs has expanded to take on a greater role in aviation maintenance training. LMB designs and manufactures high performance fans, blowers and motors for the aerospace and defence markets with applications in aircraft, helicopters, UAVs (Unmanned Air Vehicles), pods and missiles.